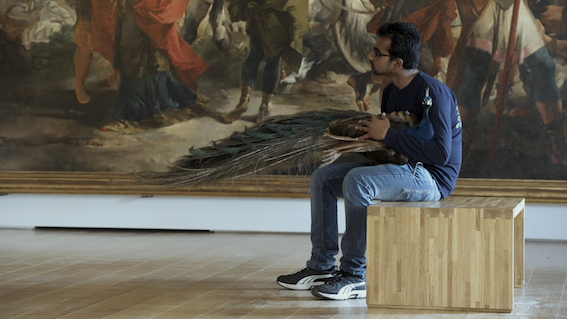 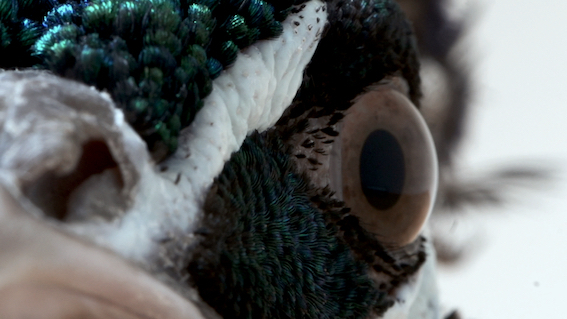 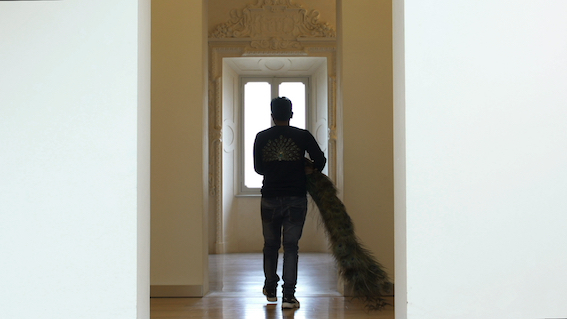 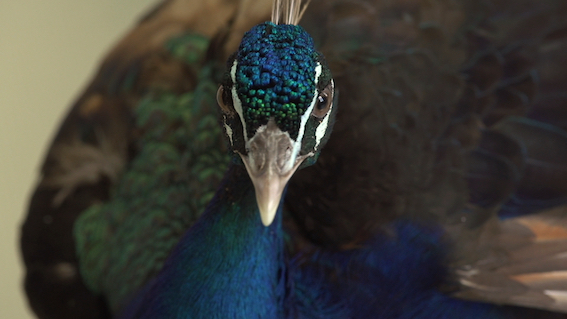 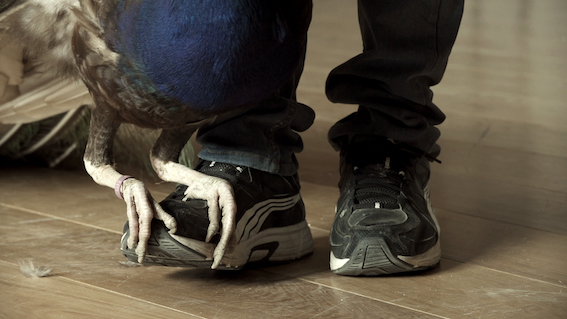 The video, Fragile (2016) produced by the Museo Reale Galleria Sabauda in Turin, staged a young man’s visit to the gallery halls in the presence of a peacock. 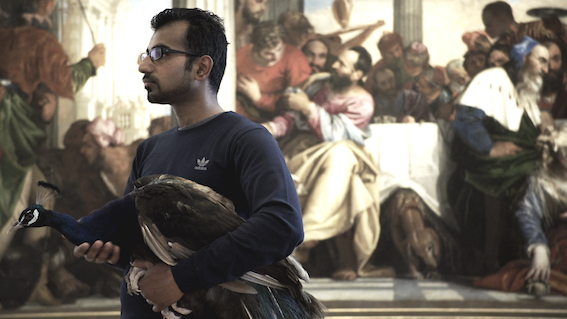 Walking among the masterpieces of antiquity, symbolic objects of archetypal beauty, the presence of the peacock underlines the essential precariousness of the living animal and its impairment that renders it inapt to represent its nature. 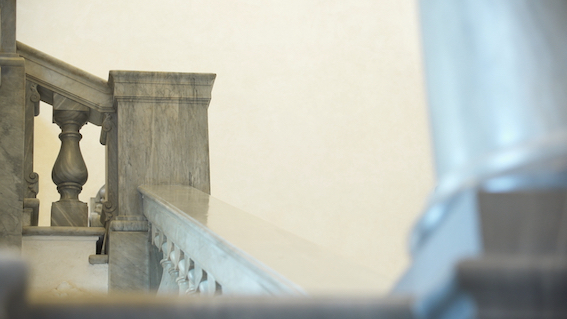 The image is highly suggestive because it’s made even more dramatic due to the emptiness of the halls, facing the perpetual immobility of the painted characters. 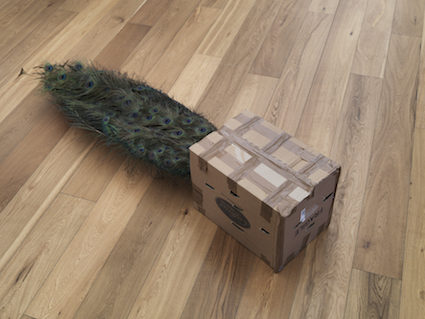 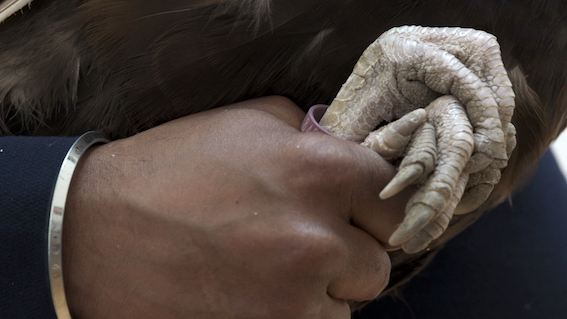 The main theme of these works is the concept of “cure”: the old animal, object of the care of its master, is a metaphor of the combination of a faded vanity and the eternal journey into beauty, a trip defined by Rainer Maria Rilke as “the tremendous at its beginning.” The fragility of art, to which the title of the work refers to, engages the observer’s gaze and warns of the necessity to provide protection of art and cultural heritage. 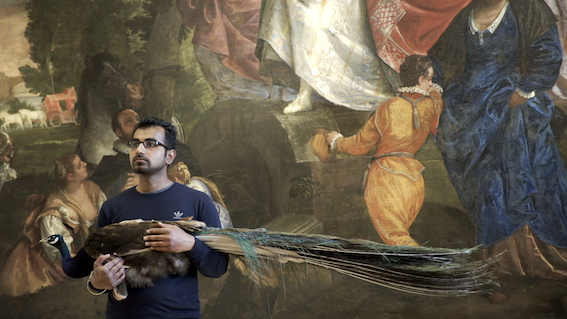 A metaphor that reminds us of the need to preserve and care for our artistic and cultural heritage as a form of resistance to time and carelessness of man.